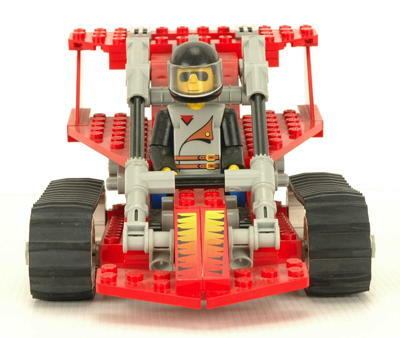 The 8229 Tread Trekker is a very unusual convertible vehicle, not necessarily based on anything real. 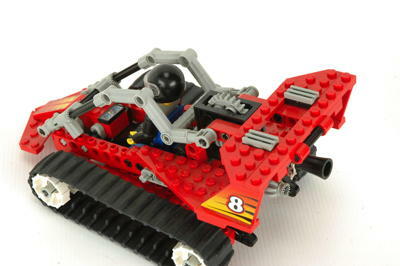 The tracked vehicle uses the new rubber tracks and sprockets and includes a Technic figure. 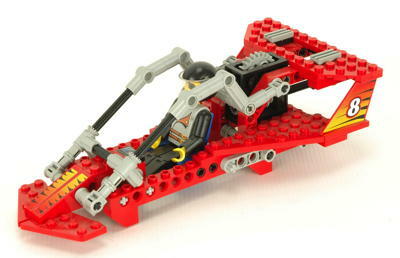 The upper part of the vehicle detaches from the base and becomes what appears to be a boat. 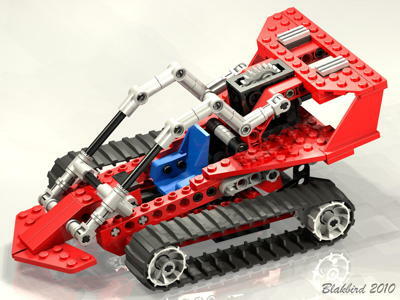 Though the topic is unique, this Tech Play set is pretty simple and offers limited functionality but a good selection of the new parts. 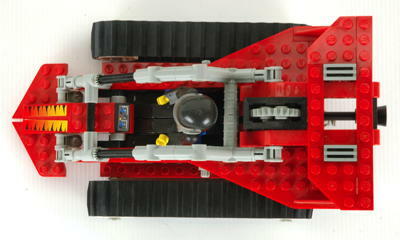 The tracked base unit can be separated from the watercraft using a small ball gear in the back. 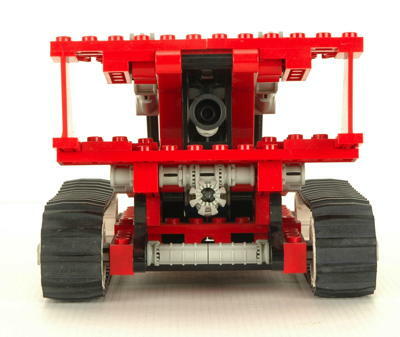 The canopy is constructed from the new angle connectors and can be opened using a knob at the back. 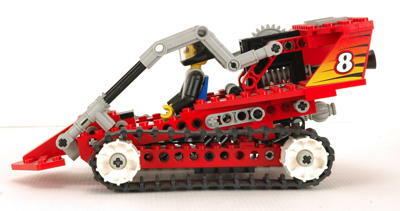 A worm gear drives a 24 tooth spur gear to lift and hold the canopy. 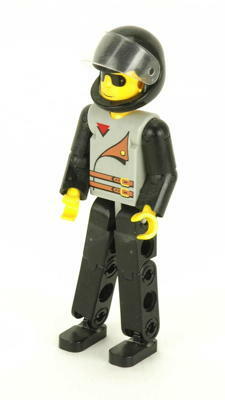 The pilot of this vehicle is the most common Technic figure, appearing in a total of 6 sets. 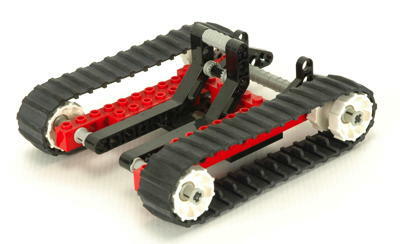 This set uses the new fixed length rubber tracks and sprockets. 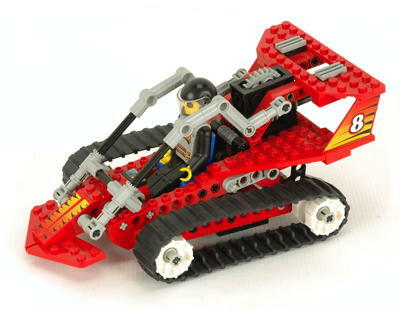 They offer good traction but are not connected to any other feature.